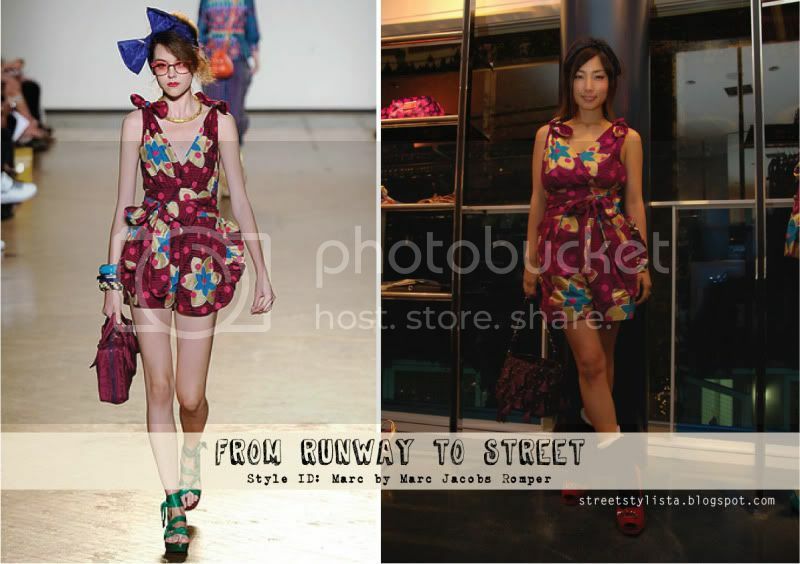 Marc by Marc Jacobs Printed Romper from Spring 2010 RTW Collection. I initially thought this piece was a dress and when I went to watch the runway video (3:02-3:09) to make sure, I think it's actually a romper. Correct me if I'm wrong. Love the prints and colours in this collection. Love this post, it's great to see it in 'real life'!